Cunard Line is honored to announce that His Royal Highness The Duke of Edinburgh will make a return visit to Queen Mary 2 in her homeport of Southampton on Friday, 9 May 2014 and attend a reception and lunch being held to celebrate the flagship’s 10th anniversary in service. During his time on board, His Royal Highness will visit several behind-the-scenes areas and meet with various crew who perform different roles on the ship. Further details of the 9 May visit will be announced shortly. The most famous passenger ocean liner in the world, and for 10 years now the flagship of the Cunard fleet, Queen Mary 2 was named by Her Majesty The Queen at Southampton in January 2004 during the most spectacular event of its kind ever. His Royal Highness was also in attendance. Since then, Queen Mary 2 has undertaken a total of 419 voyages including over 200 Transatlantic Crossings, called at 182 ports in 60 countries and carried over 1.3 million guests. Carnival Cruises' Carnival Splendor will sail seasonally from New York in 2015. From April to November, the ship will operate a variety four to eight- day itineraries from New York to popular ports in The Bahamas, Caribbean, Canada and Florida. Cruises from New York to the Canadian Maritimes include four-day voyages visiting Saint John and five-day sailings calling at Saint John and Halifax. Seven-day fall foliage voyages call at Boston, Portland, Maine; Saint John and Halifax, while three different eight-day options are available: a Bahamas/Florida itinerary calling at Port Canaveral, Fla., and Freeport and Nassau; and two eastern Caribbean routes, one featuring San Juan, St. Thomas and Grand Turk, and another visiting Grand Turk, Nassau and the private Bahamian island of Half Moon Cay. 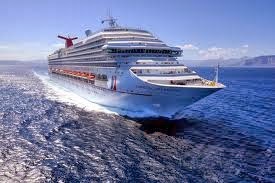 Carnival Splendor will also offer special one-way eight-day exotic eastern Caribbean cruises between New York and San Juan on May 24, 2015 and June 1, 2015. 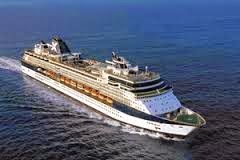 Thirteen former chef’testants of Bravo’s Emmy® Award-winning series “Top Chef” will set sail on four exclusive Celebrity Cruises vacations beginning in July 2014 as part of the “Top Chef at Sea” experience. The Celebrity Cruises and Bravo partnership gives fans the opportunity to vacation with their favorite ”Top Chef” alums and experience their dishes, including complimentary cooking demonstrations, interactive Quickfire Challenges and other activities. For a more exclusive experience, guests can choose to enjoy private cooking classes and events hosted by the chef’testants. · Spike Mendelsohn: Top Chef Chicago and Top Chef All-Stars contestant; Co-owner and Chef at Béarnaise, We, The Pizza and Good Stuff Eatery in Washington, D.C. In addition to the Celebrity Summit cruise above - exclusive cruises featuring “Top Chef” chef’testants, Quickfire Challenges and “Top Chef”-inspired menu evenings will be available onboard all Celebrity Cruises ships, with the exception of Celebrity Xpedition, for all sailings departing July 2014 – June 2015. Norwegian Cruise Line to Roll Out Carlos Bake Shop Fleet Wide. Norwegian Cruise Line announced today that Master Baker Buddy Valastro, star of the popular TLC television series “Cake Boss” and “Next Great Baker,” who recently opened two Carlo’s Bake Shop locations on board Norwegian Breakaway and Norwegian Getaway, will now feature his incredible dessert creations on all Norwegian ships, fleet-wide. In the coming weeks, guests sailing on any Norwegian Cruise Line ship will have the opportunity to enjoy the delicious treats and confections that the original Carlo’s bakery is known for, including: Carlo’s Bake Shop’s famous cannoli’s, lobster tails, tiramisu, plus a variety of other unique cakes, cupcakes and Italian cookies. Norwegian Epic will be the first ship to offer Carlo’s Bakery items on board starting March 9, followed by Norwegian Dawn on March 16, Norwegian Jewel on March 23, Norwegian Star on March 30 and Norwegian Gem on April 8, 2014. The remaining ships will offer Carlo’s items in the coming months. Carlo’s Bake Shop dessert items will be featured in each ship’s Java and Atrium Cafes and available for purchase a la carte. In early March, Cunard captured dramatic photographs of Captain Kevin Oprey, Master of Queen Mary 2, standing beneath the flagship’s soaring hull a mile off the coast of Bali during the ship's World Cruise in her 10th anniversary year. The amazing images by James Morgan show Captain Oprey surveying the scene from the top of Queen Mary 2's bulbous bow, an underwater projection that minimizes the creation of bow waves around the waterline when the ship is under way. Two safety craft were standing by during the photo shoot, but Captain Oprey remained sure-footed throughout. As she continues on her 2014 World Cruise, Queen Mary 2 will make her 10th port of call at Sydney on Friday 14 March after circumnavigating Australia. She will then head north towards Shanghai, Hong Kong, Ho Chi Minh City, Bangkok and Singapore before turning west for Sri Lanka and Dubai. 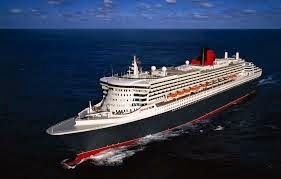 Next, she will enter the Mediterranean through the Suez Canal and return to Southampton, England, on 9 May to mark her 10th anniversary of becoming Cunard's magnificent flagship. Sister ships Queen Elizabeth and Queen Victoria will join in the exuberant celebrations. At 151,200 tons, Queen Mary 2 is the largest and most expensive ocean liner ever built, accommodating 2,620 passengers and 1,253 crew. In her first 10 years of service, following a spectacular naming by Her Majesty The Queen on 8 January 2004, Queen Mary 2 has undertaken more than 420 voyages, including over 200 Transatlantic Crossings, and has called at 182 ports in 60 countries. She remains the longest, tallest, widest ocean liner ever built, as well as being the most famous and fastest passenger ship in operation today. Carnival Cruise Lines’ exclusive partnership with Dr. Seuss Enterprises kicked off in grand style last week on Carnival Splendor which became the first “Fun Ship” to offer Seuss at Sea, a fleetwide program featuring exciting youth, family, dining and entertainment experiences inspired by the amazing world and words of Dr. Seuss. The fun-filled festivities included the first-ever Green Eggs and Ham Breakfast with the Cat in the Hat and Friends, where both the young and young at heart enjoyed deliciously playful food straight from Dr. Seuss’s imagination – green eggs and ham, colorful fruit and pancake stacks, funky French toast, as well as traditional breakfast favorites, all served by wait staff in Dr. Seuss-inspired uniforms. Popular characters such as the Cat in the Hat, Thing One and Thing Two, and Sam-I-Am joined guests at their tables for fun interactions and one-of-a-kind photo opportunities. Also debuting on Carnival Splendor is Seuss-a-palooza Story Time, an interactive reading event for kids of all ages, hosted in a vibrant, custom-created tent on the stage of the main show lounge. Equally popular was the inaugural Seuss-a-palooza Character Parade where guests joined Dr. Seuss characters in a swirly conga line along Carnival Splendor’s promenade. Carnival Splendor is stocked with a selection of classic Dr. Seuss books, toys and games and is hosting special showings of beloved movies such as “The Cat in the Hat” on the giant outdoor Dive-In Movies screen. 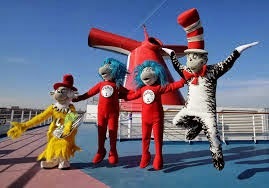 “We’re delighted to debut the Seuss at Sea program on Carnival Splendor which is sure to amuse and delight kids of all ages while providing parents and their children an opportunity to participate in fun and playful activities together as a family,” said Gerry Cahill, Carnival president and CEO. “In addition to providing a wonderful environment for quality family time, Seuss at Sea arms travel agents with yet another effective marketing tool for enticing families to set sail aboard the ‘Fun Ships,’” he added. Fleetwide roll out of Seuss at Sea is expected by 2015 and the program will also be featured on the new Carnival Vista which is set to debut in 2016. Norwegian Cruise Line Unveils 2015/16 Winter Cruise Schedule from the New York and Boston. Norwegian Cruise Line announces Winter of 2015/16 Cruises. Norwegian Gem will offer 10-day Eastern Caribbean cruises from New York from October 10, 2015 through April 11, 2016, cruising to San Juan, Puerto Rico; St. Thomas, U.S. Virgin Islands; Philipsburg, St. Maarten; and Tortola, British Virgin Islands. This new itineraryprovides a full day in San Juan, Puerto Rico, giving guests more time to explore this flavorful island or experience its world famous El Yunque rainforest. Norwegian Breakaway will offer seven-day Bahamas & Florida itineraries from New York City from October 25 through November 22, 2015, from December 13 through 27, 2015 and from February 14 through April 17, 2015. Ports of call include Orlando & The Beaches (Port Canaveral); Norwegian’s private island, Great Stirrup Cay; and Nassau, Bahamas. 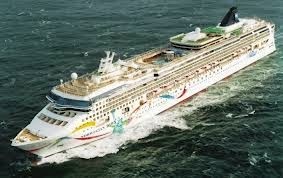 Norwegian Dawn will sail a 14-Day Caribbean Adventure from Boston, Massachusetts, to New Orleans on October 30, 2015. Ports of call include San Juan, Puerto Rico; Kralendijk, Bonaire; Willemstad, Curacao; Oranjestad, Aruba; Ocho Rios, Jamaica; George Town, Grand Cayman; and Cozumel, Mexico.